Here at the Road, our church body is passionate about biblical principles of STEWARDSHIP and FINANCIAL RESPONSIBILITY. 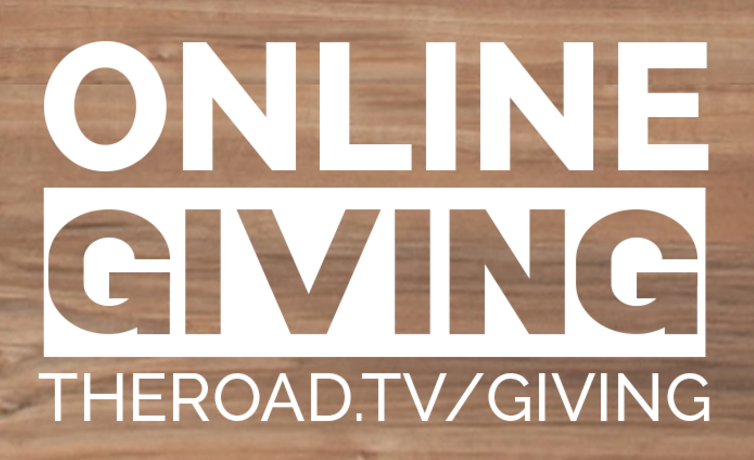 In today’s society, where checkbooks and cash are quickly becoming relics- we have opted to add an option for online giving for your convenience. Online giving involves the use of credit and debit or electronic funds transfer (EFT). Everyone should exercise care in using credit cards for giving. We offer this option only as a convenience and not as a way to bypass sound biblical money management values or to incur debt. If you have a balance on your credit card(s), we strongly encourage you to please use one of the direct debit options instead, or give through the offering at our worship services. If online giving is your preference, we would prefer that you give directly from your bank account (EFT). It is just like writing a check and there are no processing fees whereas credit/debit cards will cost us up to 3% of the total transaction. This tool will allow you to set up scheduled giving, designate gifts to specific ministries, as well as track and adjust your giving. Account set-up is a one-time process, and you can log back in to your account from this page anytime. To assist you in creating or gaining access to your onrealm.org account for setting up scheduled financial contributions or to manage your online account please provide us with some contact info HERE. Complete the online registration form and select the donations and the amount you would like to donate along with your bank, credit or debit card information. You will receive a registration email with a username a temporary password. Why does the giving website not have the Choctaw Road Baptist Church logo? Who am I sharing my financial information with? ACS Technologies is a financial software and services partner who is providing the technology to help us provide this online giving option to you. Your church staff has selected this option after diligent research and prayerful consideration.